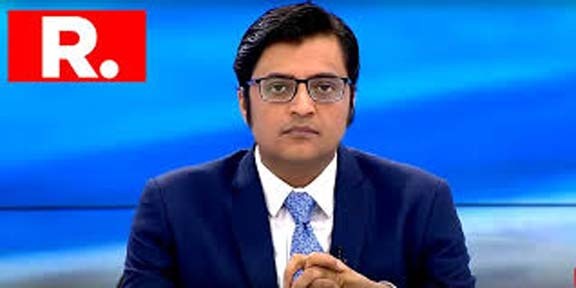 A Patiala court has ordered Delhi police to register an FIR against Republic TV editor-in-chief and Assam son Arnab Goswami after Congress leader Shashi Tharoor filed a complaint against him, Bar & Bench reported on Saturday. According to Tharoor’s complaint, journalist Goswami allegedly accessed confidential documents that were part of the investigation report and the internal notings of police records in connection with the death of his wife Sunanda Pushkar, the report says. As per the report, in his complaint, Tharoor alleged that the confidential documents formed part of the investigation report in Sunanda Pushakar’s death case and were part of internal notings of the police records. Tharoor further alleged that RTI replies by the Delhi Police have shown that it is impermissible to share details of the probe with the public or media pending probe. It has also been alleged that the channel accessed Tharoor’s emails without his consent in addition to accessing confidential documents on the news shows of the channel relating to Sunanda Pushkar’s death. Tharoor, who was represented by senior advocate Vikas Pahwa with advocates Gaurav Gupta and Muhammad Ali Khan, claimed that he had filed police complaints regarding the theft of documents and his email hacking but no action has been taken by the Police yet. Congress leader and former Union minister Tharoor has sought directions to be given to the Delhi Police to initiate action based on the complaint. Though Metropolitan Magistrate Dharmender Singh passed an order on January 21 directing the Delhi Police to register an FIR against the accused persons, but the news came to light only afterBar & Benchreported it on Saturday. “This court is of the considered view that in view of allegations leveled by complainant and material produced on record in the form of RTI replies and other material, matter disclosed commission of cognizable offence,” the order reads. “In these circumstances, SHO concerned is directed to register FIR in this matter and investigate the same as per law,” it further reads.